REUTERS/Aaron JosefczykSuspect TJ Lane is escorted into the Geauga County Courthouse Annex by Sheriff deputies for his court appearance in Chardon, Ohio February 28, 2012. New state-commissioned reports detail precisely how high school shooter TJ Lane escaped from a prison in Ohio two months ago, according tothe Plain Dealer. Lane and two other prisoners escaped by building their own ladder and taking advantage of a broken security camera, those reports found. 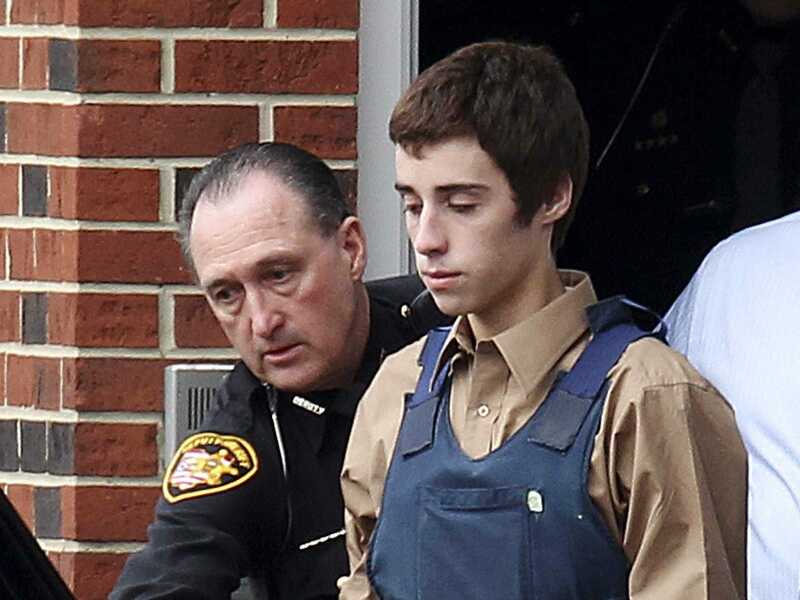 Lane — a 19-year-old serving a life sentence for killing three classmates in a 2012 school shooting — and two other prisoners broke in to a locked crawl space to assemble the 13.5-foot ladder that allowed them to escape. They reportedly used old cabinets to build the ladder. The inmates used the ladder to get to the roof of the building, jump onto the ground, and then run across a field. They were all captured by the next day. You can see the inmates running across what looks like a field. Lane and the two other prisoners who escaped — murderer Lindsey Bruce and kidnapper and robber Clifford Opperud — have since been transferred to a maximum-security prison. The prison they escaped from is a minimum-medium security prison that has a special unit for inmates that are likely to be targets of violence. Lane was convicted of killing three people and wounding three others at Chardon High School in Ohio, where he was a student. Inmate escapes are rare in Ohio, but the state’s corrections department has had one other high-profile criminal slip from its grasp recently. Ariel Castro, the Cleveland man who kidnapped and held three women captive in his house for about a decade, committed suicide last year while serving his sentence in prison.